The astrological consultation on your sidereal birth chart with Bashir allows you to observe your natural tendencies and potential in a different astrological perspective, thus helping you to recognize and overcome the patterns that sometimes unconsciously govern your actions. Free yourself from the ideas you have about yourself and that are limiting your true potential! It is welcome naturally to explore themes or aspects of your life that you care about the most. The reading takes place usually at my studio in Bologna, Italy, and last about an hour. Because I guess you may leave faraway from my city you have the chance to have the reading trough Skype. You can have also a written report. For more information feel free to contact me. The transits for the next six months are also elaborated. 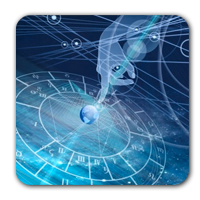 The analysis of the transits helps you recognize the situation of the period that you are living and potential developments in the near future. This is not to predict events, but to understand the dynamics involved and seek a way in harmony with the heavenly environment. They are particularly useful for choosing the periods suitable for your initiatives, activities or meetings. Regarding the correct dating of transits in his book "The Transits" Robert Hand says: "It 's my personal experience that in establishing the dates of the events the correct calculation of the precession give greater precision." (I Transiti, Armenia, pag. 37) The Sidereal Astrology is therefore really precise because it takes into account the precession of the equinoxes. If requested also a relocation report can be elaborated. The relocation or astro-cartography, analysing the birth theme on different areas of the globe, allows to identify the country and the geographical locations where certain potentials of yours will find the right context and the right stimuli to express themselves. It is recommended if you are about to embark on a journey, or if you think of emigrating.